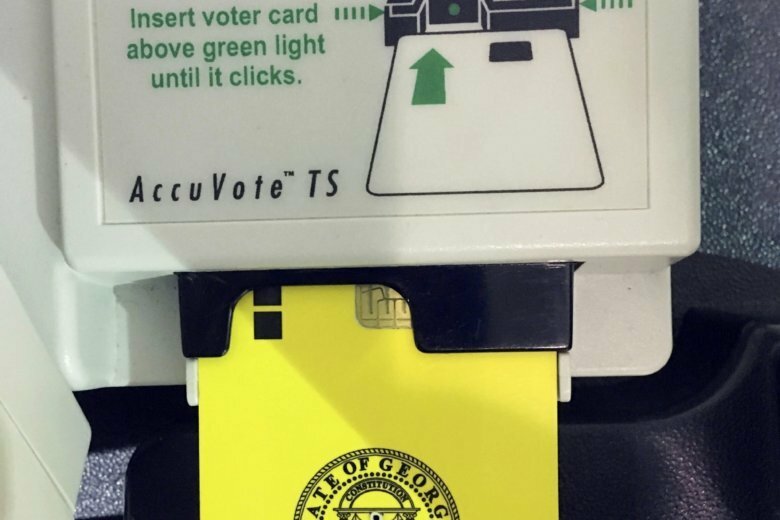 ATLANTA (AP) — Legislation calling for Georgia to purchase new electronic touchscreen voting machines that print a paper ballot is headed to the governor’s desk. The state House gave final passage to the wide-ranging election bill Thursday, a day after Senate approval. The bill would replace the state’s current system, which offers no auditable paper trail. Republican lawmakers and many county election officials say the electronic ballot marking devices will be the easiest to administer and can accommodate all Georgians, including those with disabilities. But Democrats and cybersecurity experts say the machines are hackable and that hand-marked paper ballots would be cheaper and more secure. Georgia Tech computing professor Richard DeMillo, along with 23 other cybersecurity experts around the country, sent a letter to lawmakers urging for hand-marked paper ballots in January. Systems using electronic ballot markers include touchscreen computers, where voters make their selections and then print a paper ballot. Under the legislation, voters will have a chance to review a summary of selections on their ballot printout before putting it through a scanner, where votes are tallied. Setups from different vendors vary, but many offer ballot printouts that include text summaries as well as barcodes where voter selections are encoded for tabulation. The proposal comes months after Kemp, then the secretary of state, defeated Democrat Stacey Abrams in the governor’s race, and amid several lawsuits challenging the state’s handling of elections. One of the biggest points of contention is the lack of financial information offered in support of the bill. Bond funding, or borrowing, totaling $150 million has been included in the 2020 budget proposal. But House and Senate Democrats criticized the fact that the bill does not include a fiscal note – a report on the bill’s estimated financial impact. The legislation would also tweak Georgia’s strict standard for verifying voter registrations and clarify when polling places can be closed or moved, measures proposed earlier by Democrats.